Despite considerable rhetoric suggesting otherwise, salary remains the number one motivator when it comes to choosing a new job, LinkedIn says – and now the professional social network has the numbers to prove it. 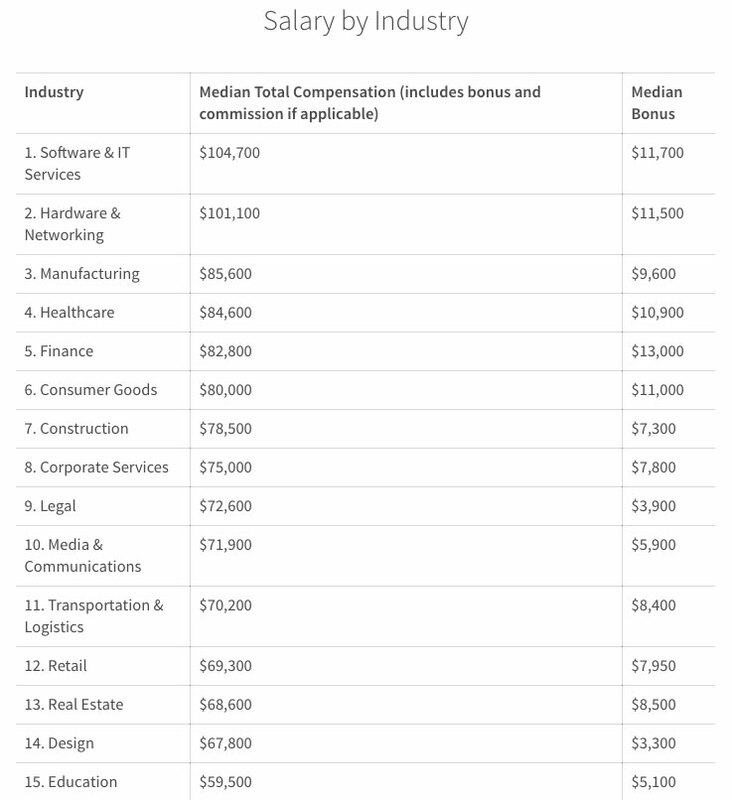 Based on U.S. information provided by users of its LinkedIn Salary feature, the company’s new State of Salary report provides a vivid snapshot of how well various industries are paying their employees – and unsurprisingly tech, with its thousands of unfilled positions, comes out on top. Below, a few snapshots of information based on industry, gender and company size. “Surprising no one, the highest average salaries are found in tech – specifically software and IT ($104,700 – all numbers USD) and hardware and networking ($101,100),” Lewis writes. 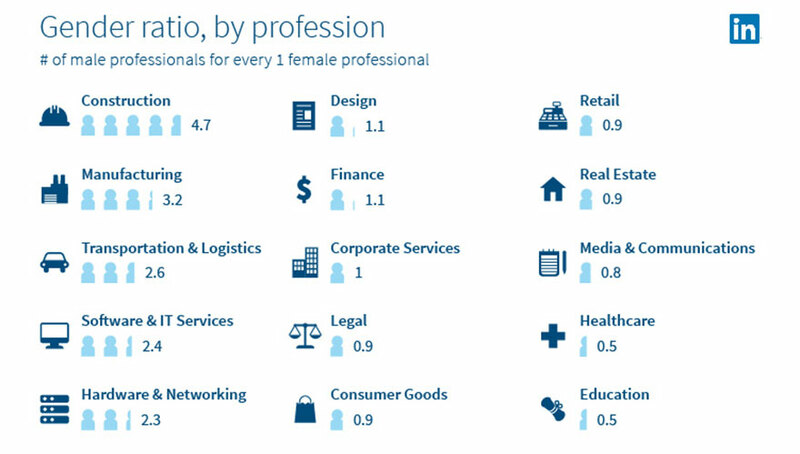 In case you needed more evidence of an industry-wide gender pay gap, LinkedIn’s data also identified just how much men are disproportionately represented in the highest-paying industries. “There are almost two and a half men for every woman in the two tech industries at the top of the charts, and more than three men per woman in the third-highest paying sector, manufacturing,” Lewis observes, while design and education – both considerably more female-friendly industries – are at the bottom. Healthcare, in which women represent about two-thirds of the workforce, is the highest paying industry with significantly more women than men, LinkedIn found. It probably won’t surprise you to learn that enterprises, which LinkedIn defined as companies with more than 10,000 employees, tend to pay their larger salaries than small and medium-sized businesses (SMBs), which the company defined as businesses with fewer than 200, but the gap’s average size might – $18,000. Creative management roles, such as communications staff and art directors, seem to be particularly better-paid at the largest companies, Lewis observes, while SMBs tend to pay more for process-oriented roles such as implementation specialists, HR administrators, and bookkeepers. Lewis notes that while these trends provide valuable insights, more relevant (including Canadian!) 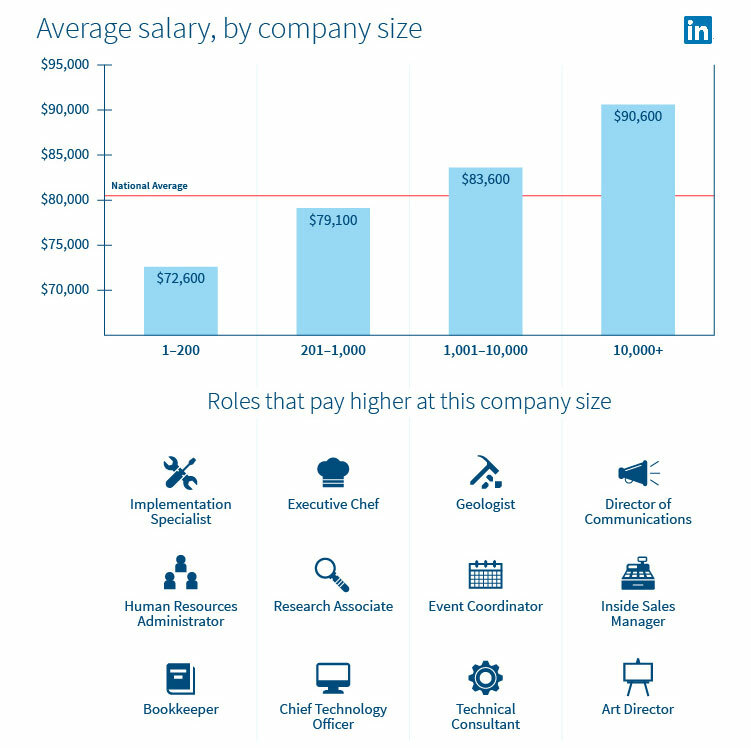 data can be found by playing with LinkedIn Salary. “Whether you’re getting macro or micro insights into your compensation, knowing where you stand can help you shape your recruiting strategy and craft more persuasive pitches,” he writes.